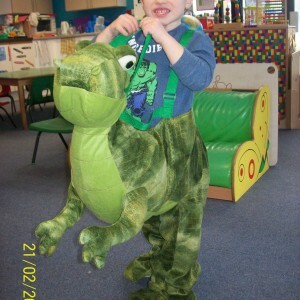 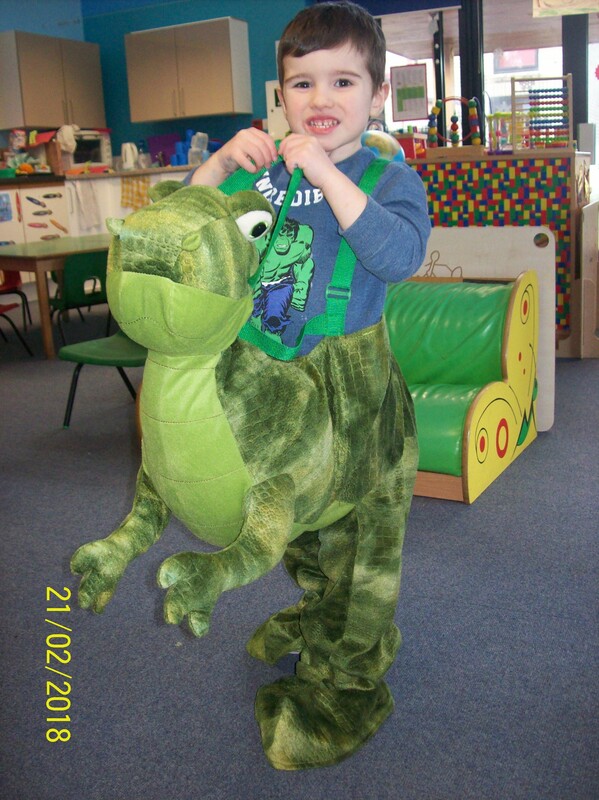 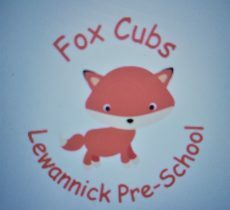 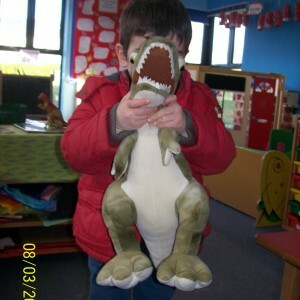 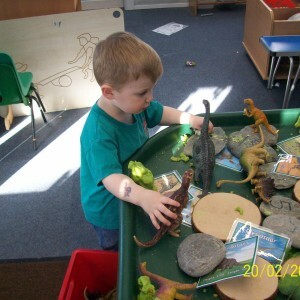 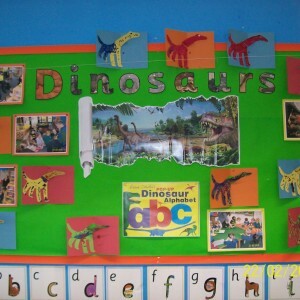 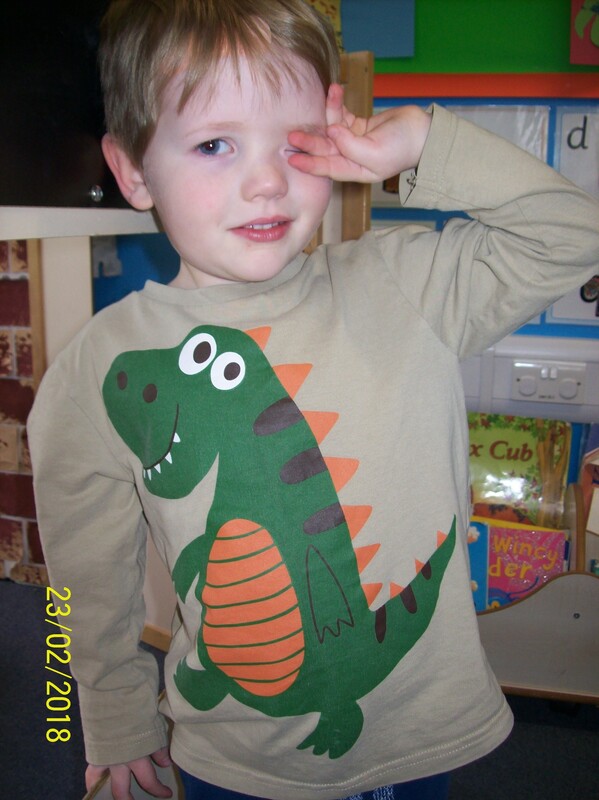 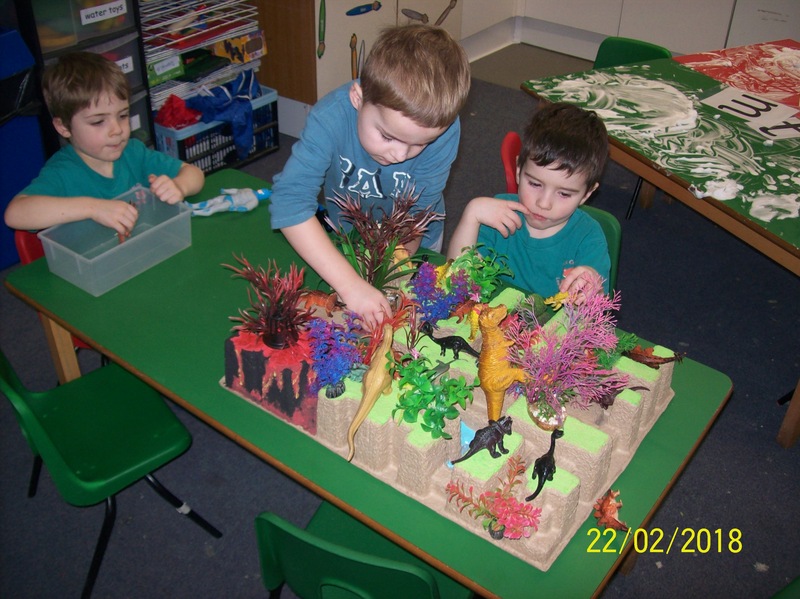 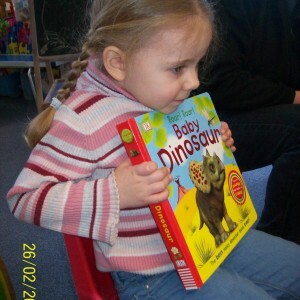 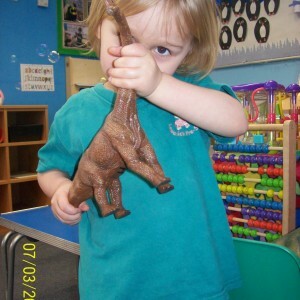 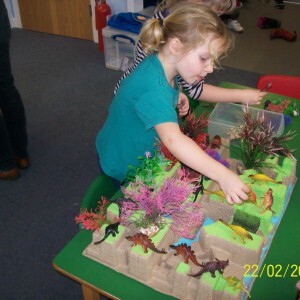 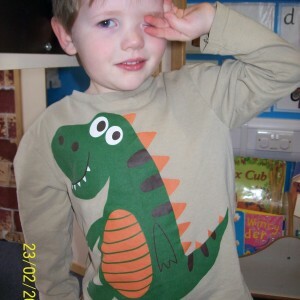 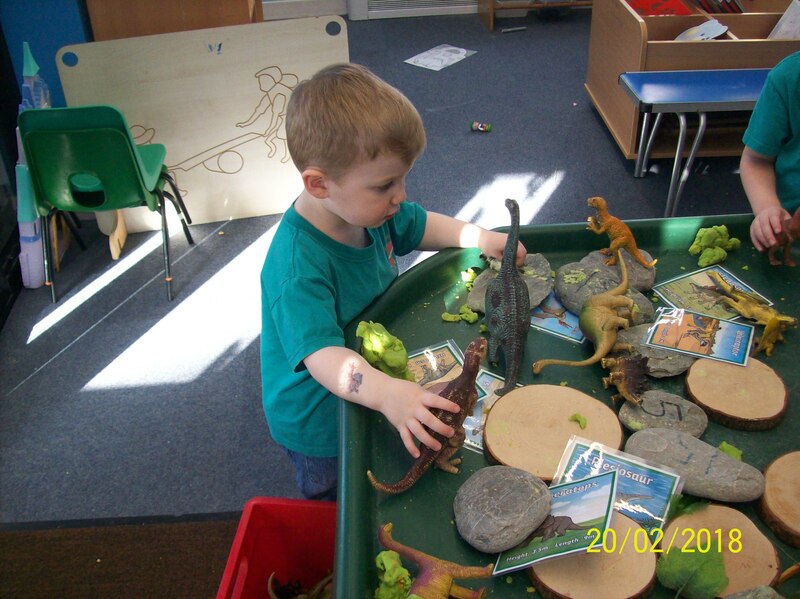 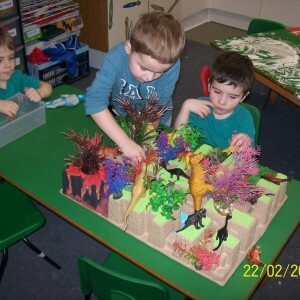 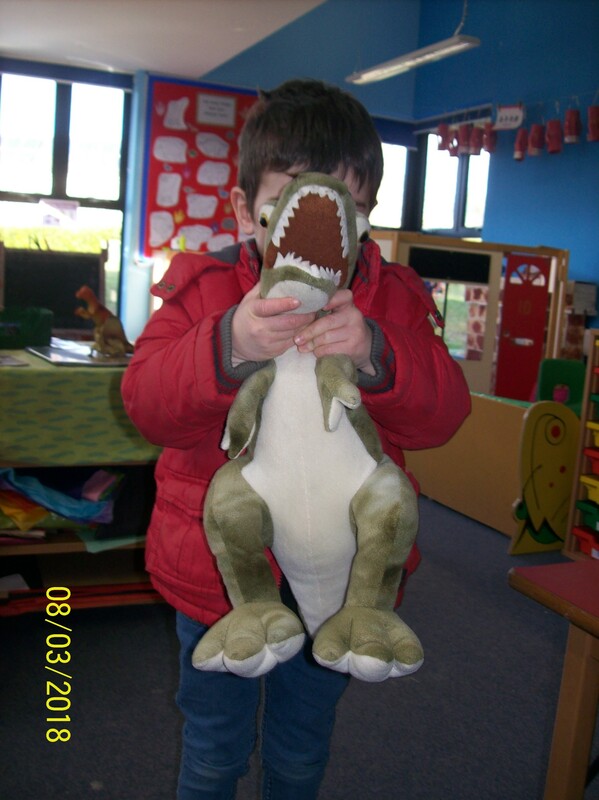 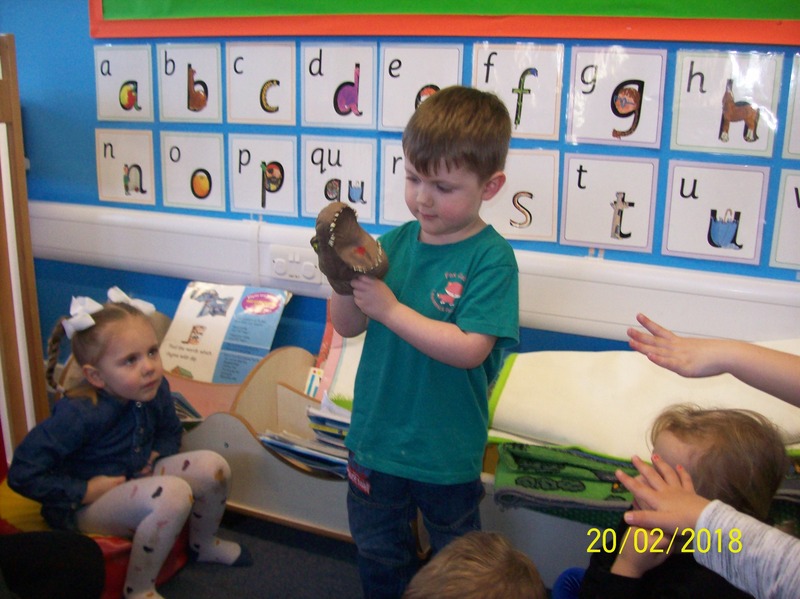 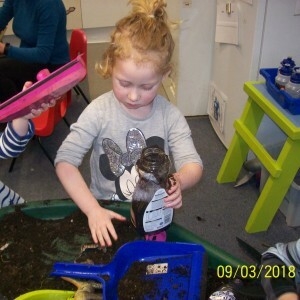 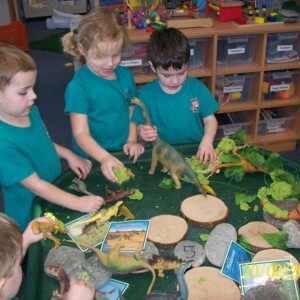 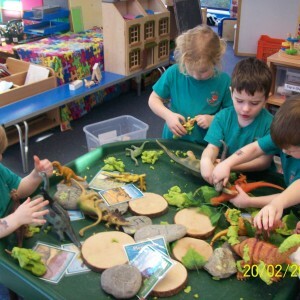 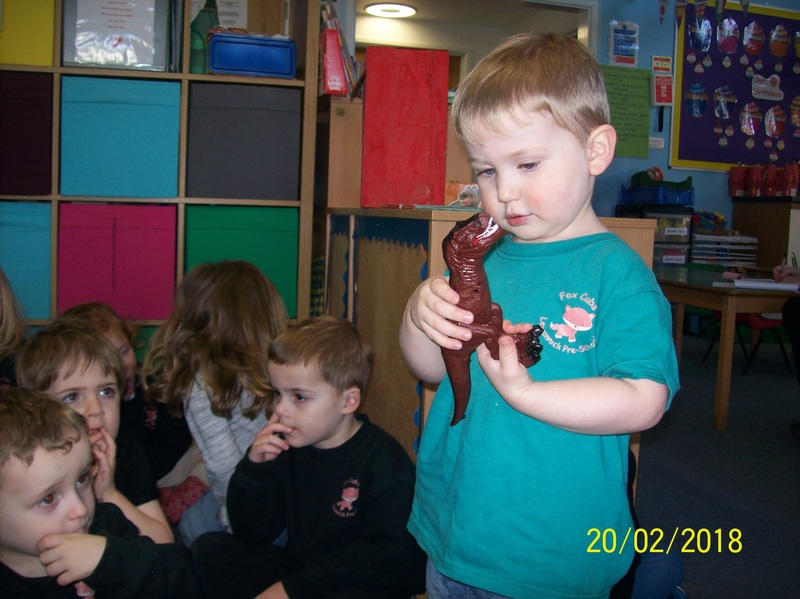 This term we have been learning all about dinosaurs! 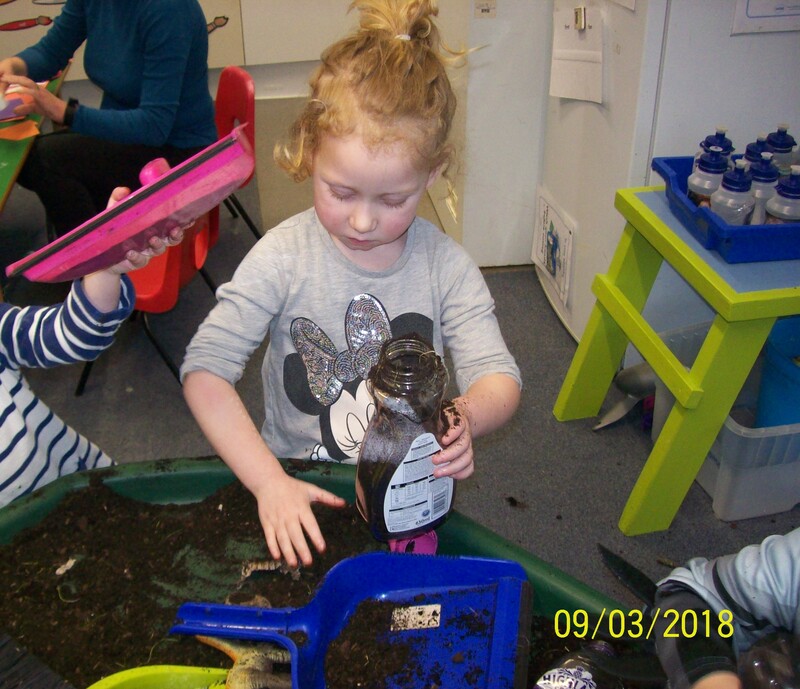 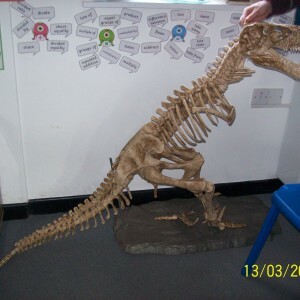 We have learnt about the different names of dinosaurs and have been on a dinosaur dig where we found fossils of dinosaur bones! 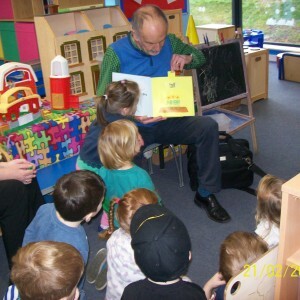 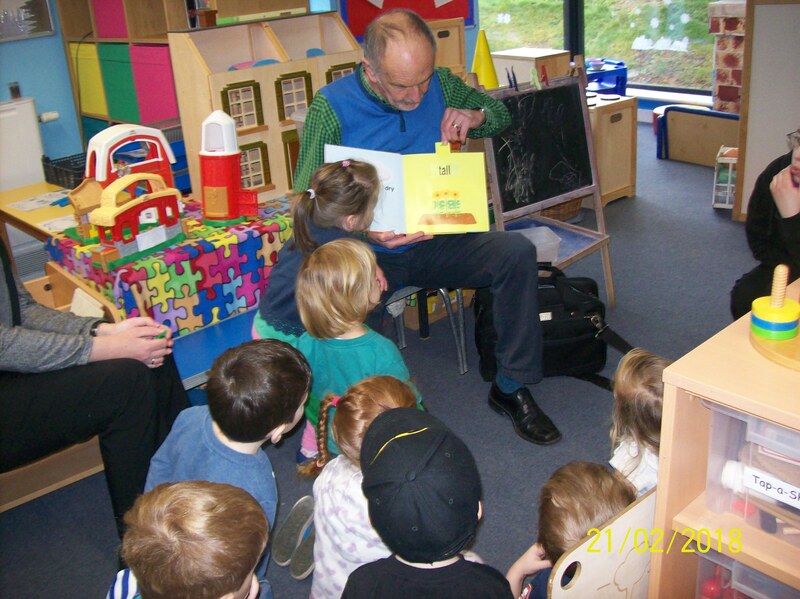 We were visited by author Robert Crowther who read his book, “Dinosaur Alphabet” to us. 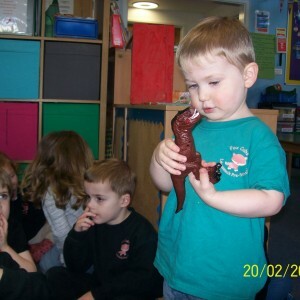 He also helped us to make our own ‘pop-up’ dinosaurs! 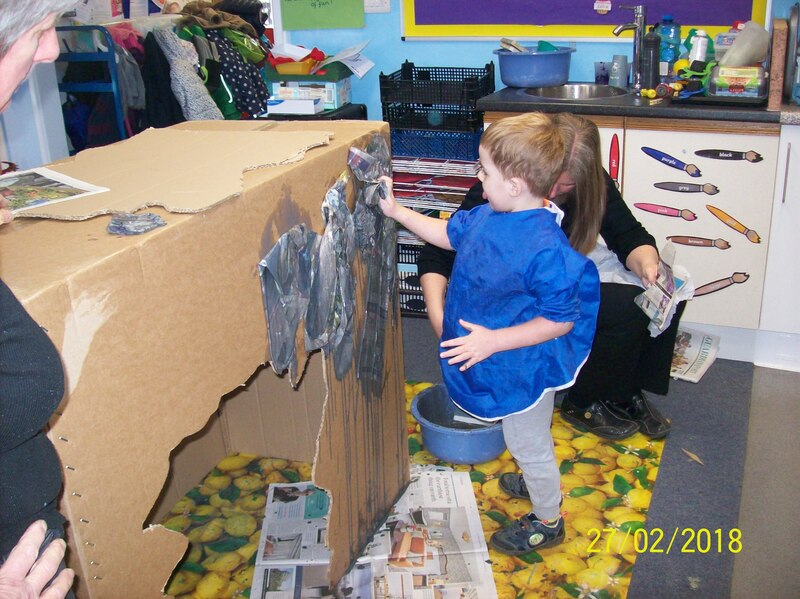 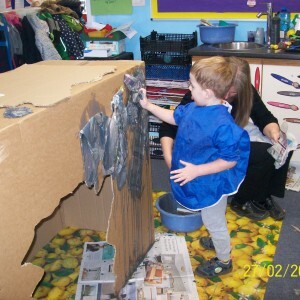 We made our own ‘dinosaur cave’ with papier mache and pretended that we were dinosaurs, singing our Dinosaur nursery rhyme! 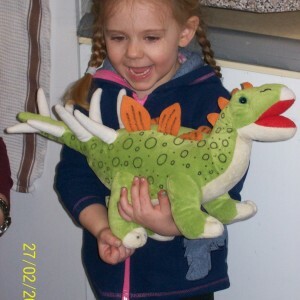 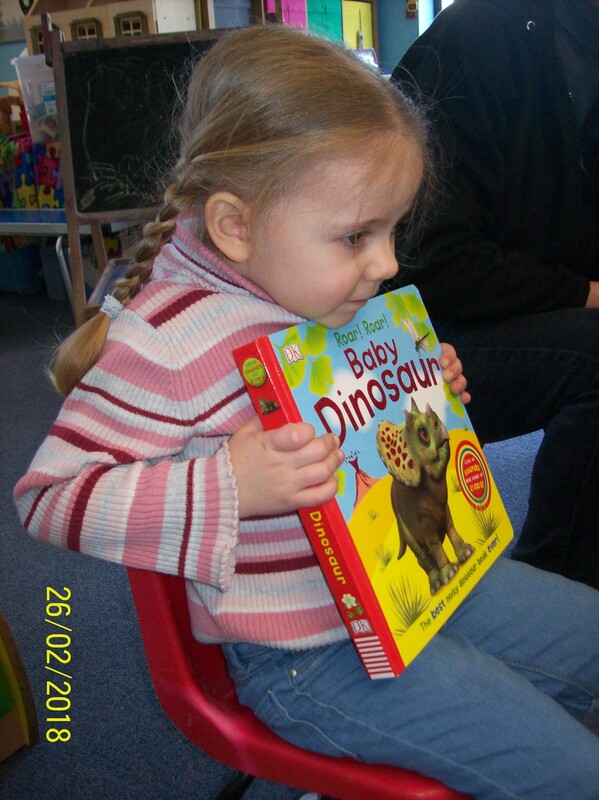 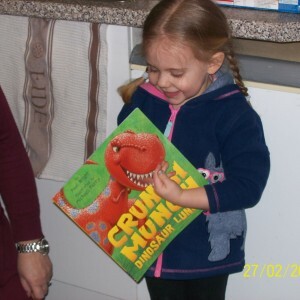 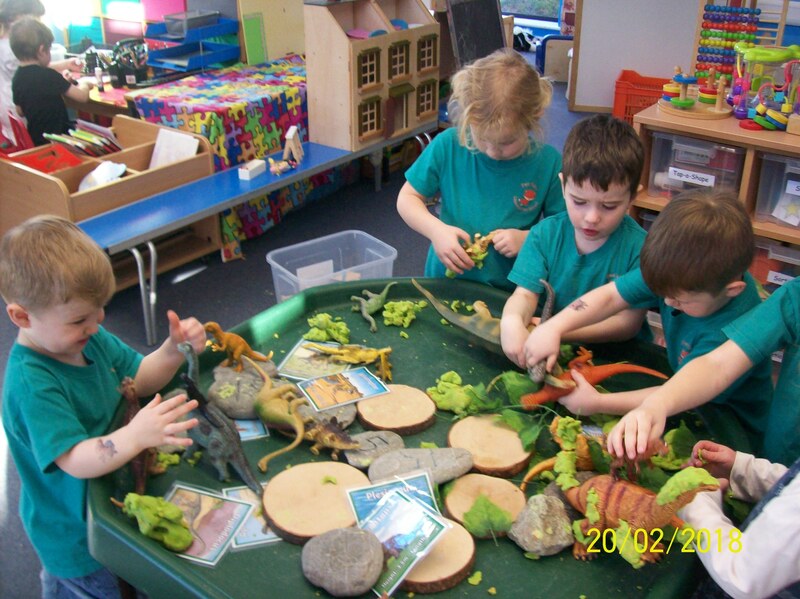 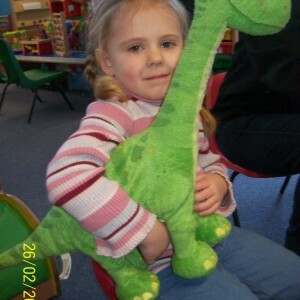 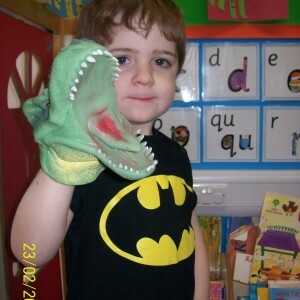 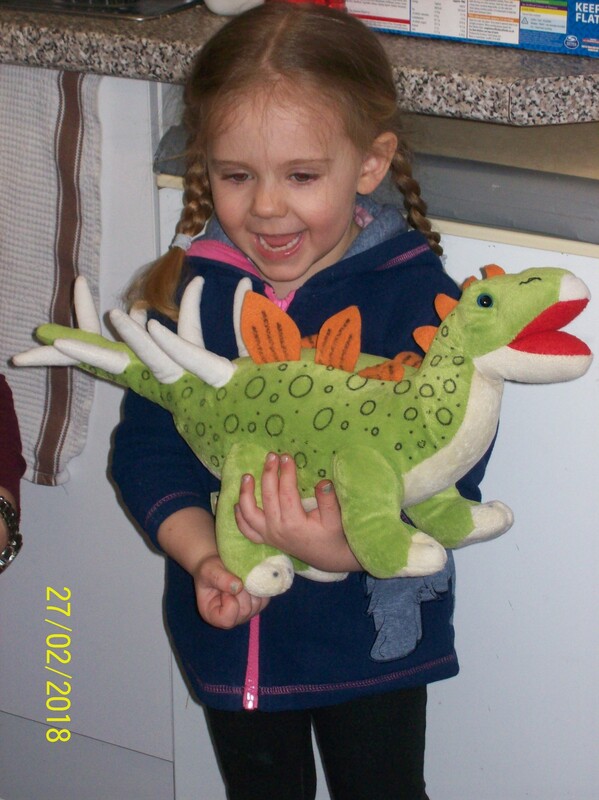 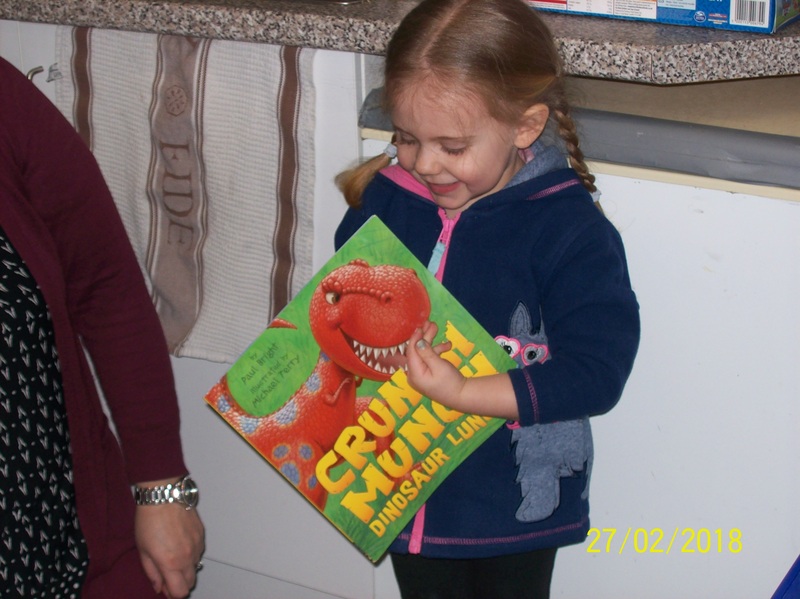 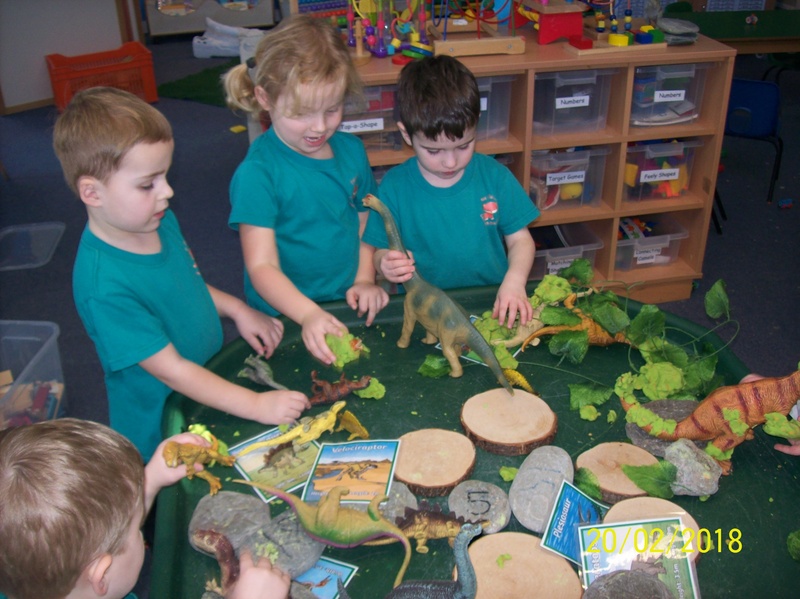 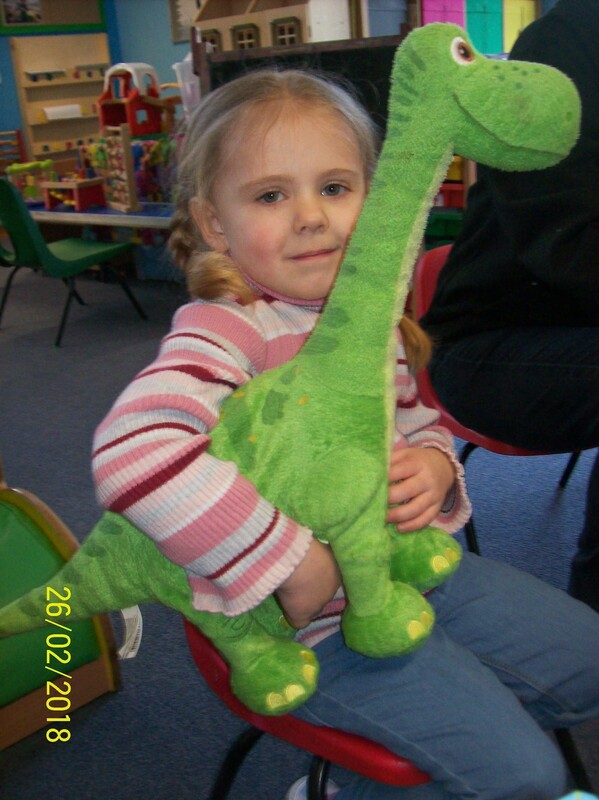 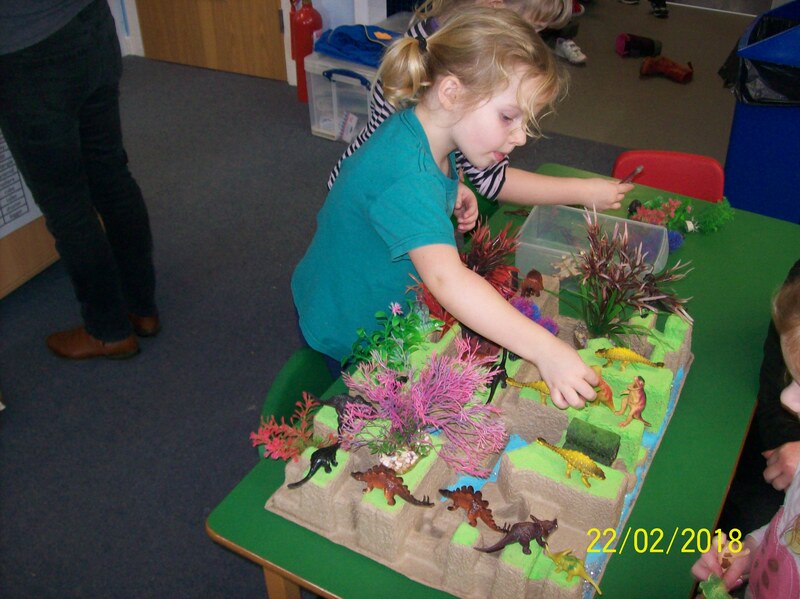 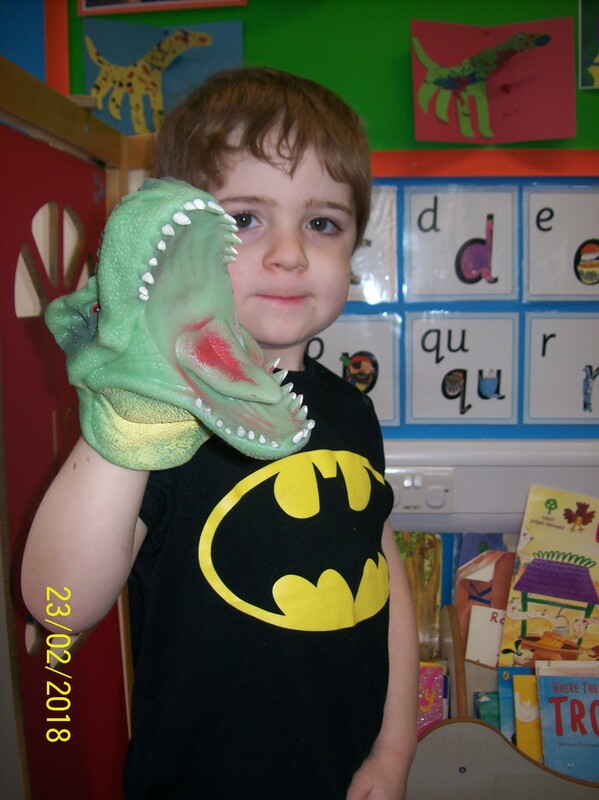 We brought our own dinosaur things in from home too – toys, books and clothes! 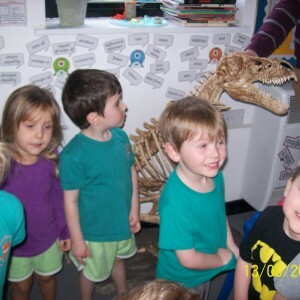 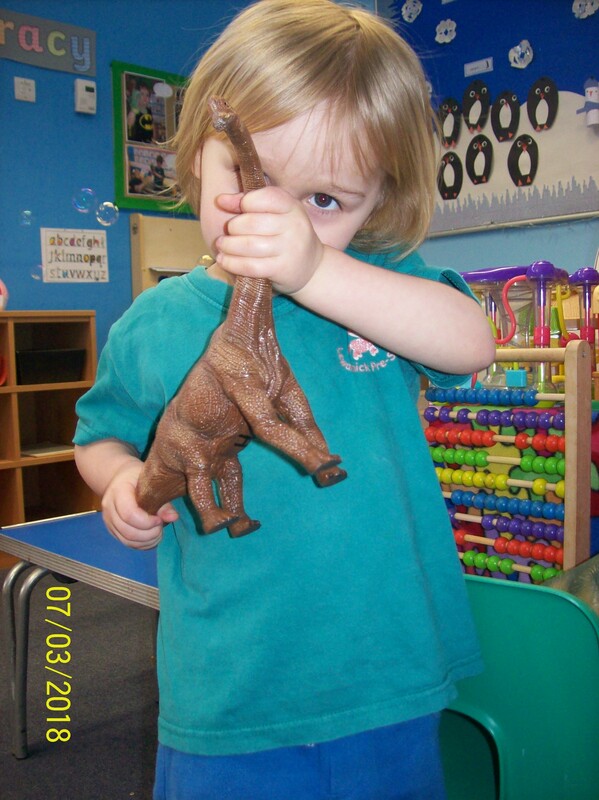 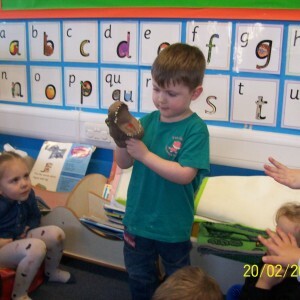 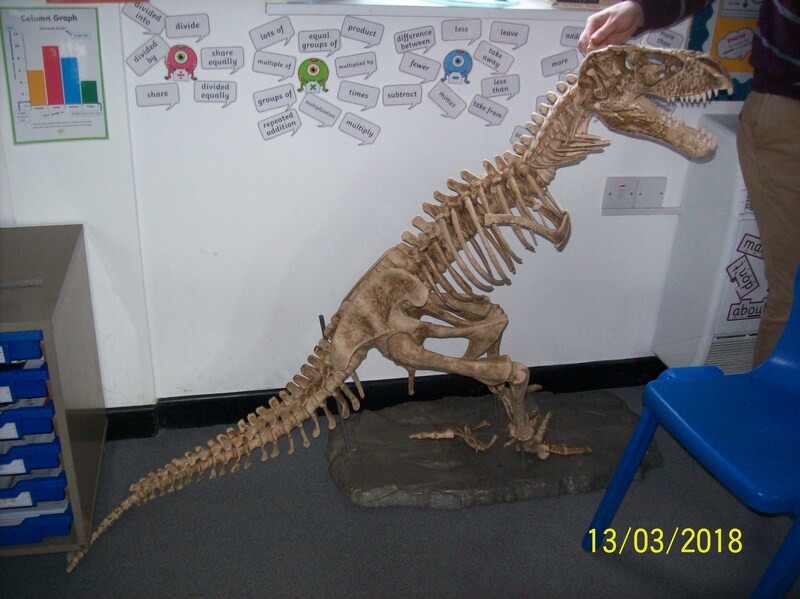 We visited Kilmar class and saw their dinosaur skeleton…can you guess which dinosaur it was? 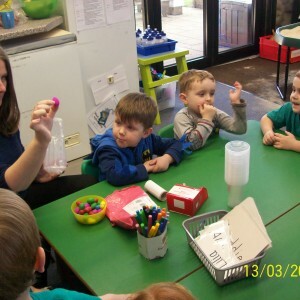 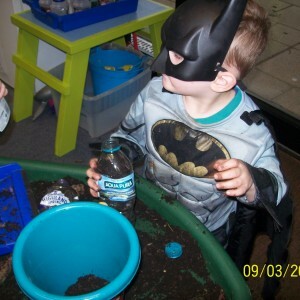 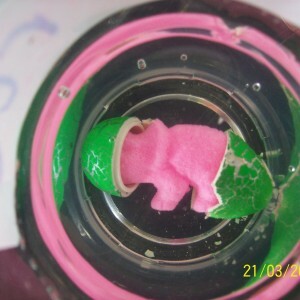 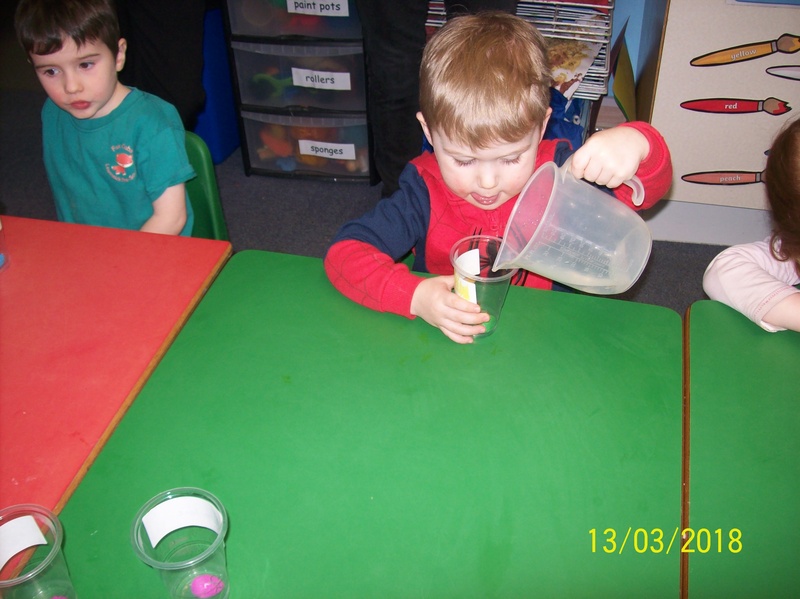 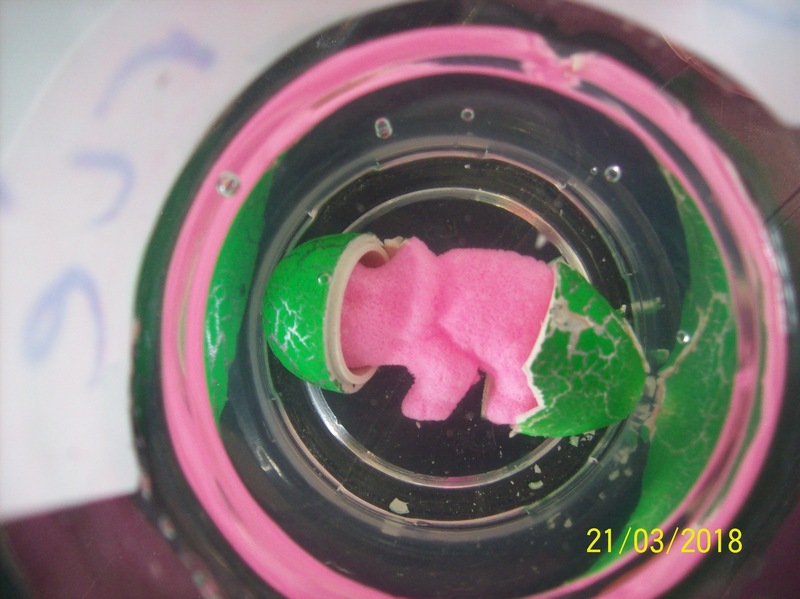 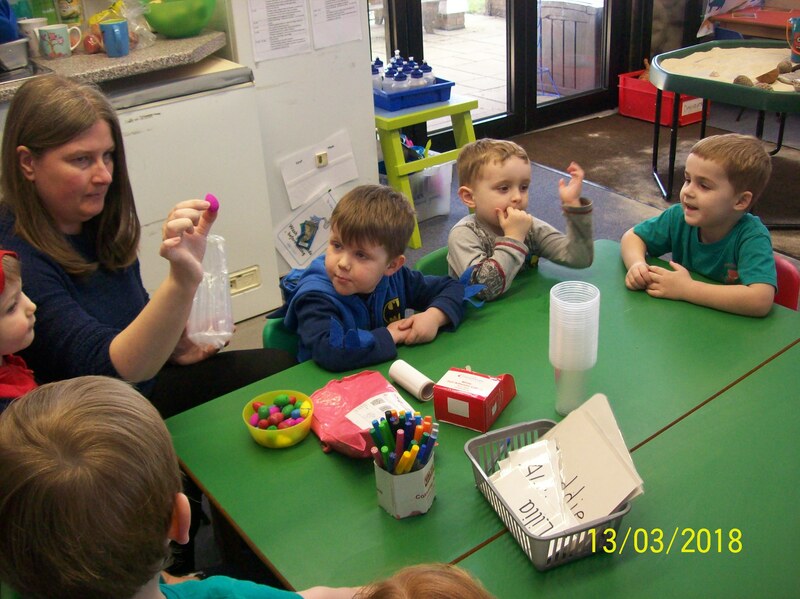 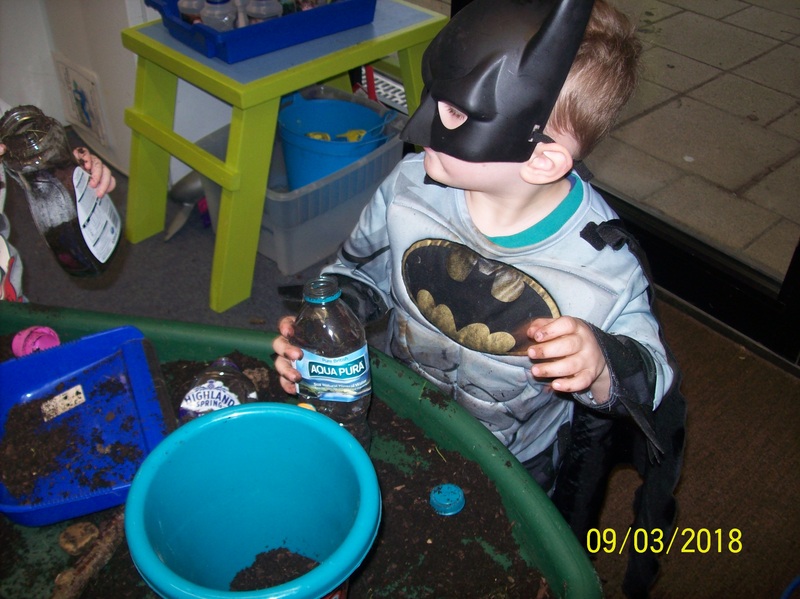 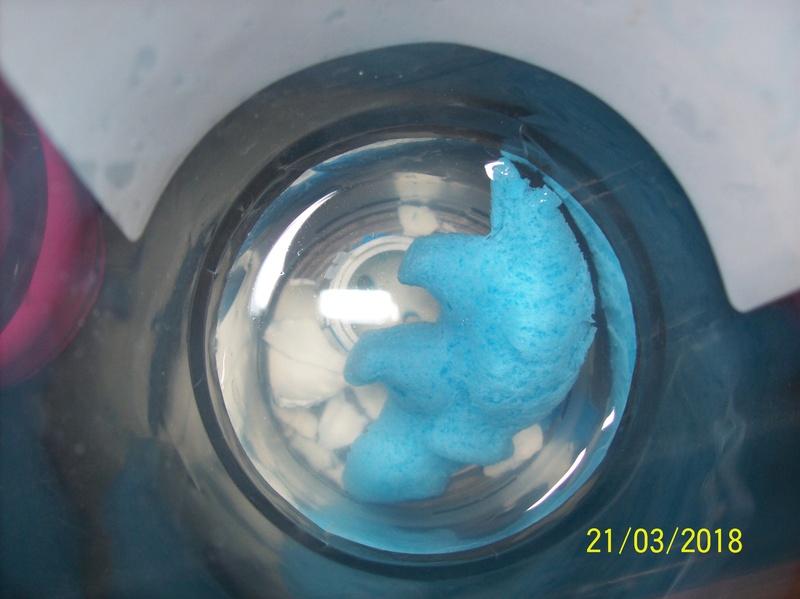 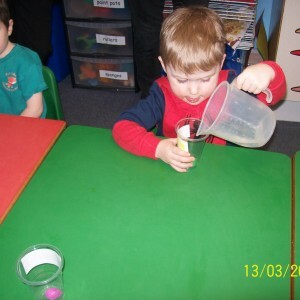 We also hatched our own dinosaur by pouring water into a cup and putting the egg in the water. 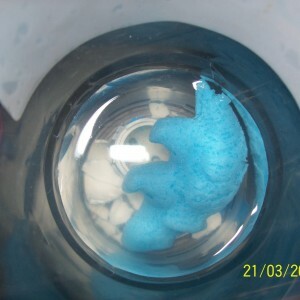 They started to hatch into tiny dinosaurs after a few days! 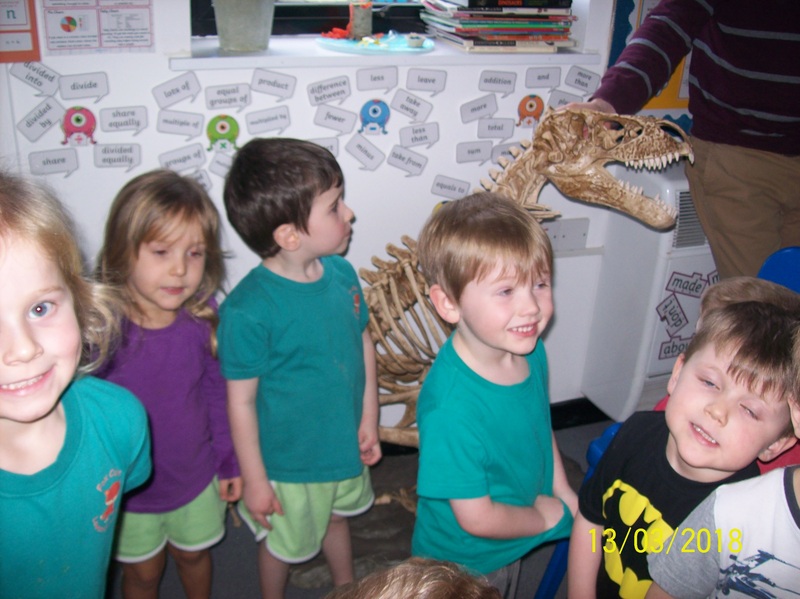 We have had lots of fun learning about dinosaurs! 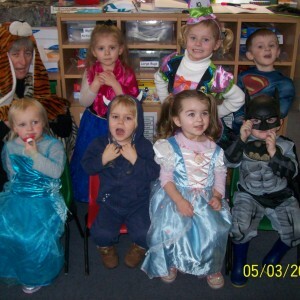 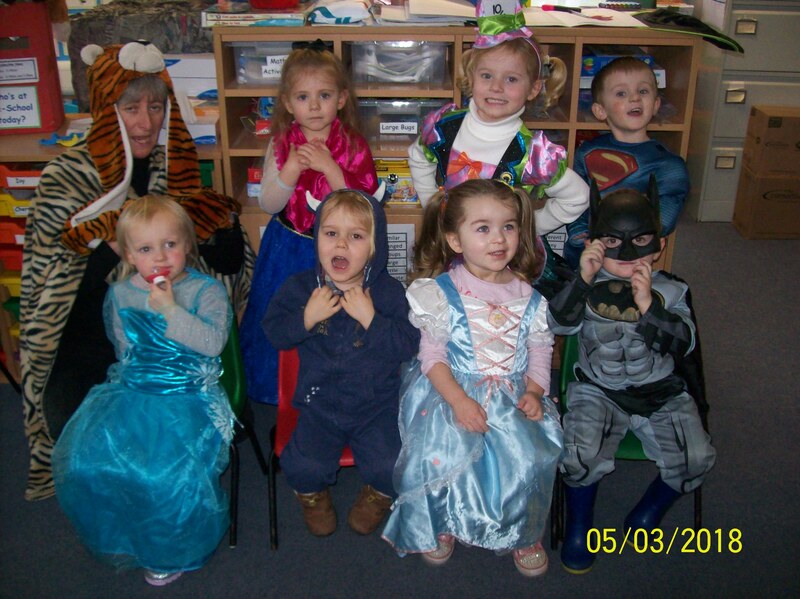 We dressed up as our favourite book characters to celebrate World Book Day 2018.